Prof. Mike Stewart & Dr. Sara Spencer from the Bristol based Open University (OU) are visiting the Programme for a 3-day Institutional Review. 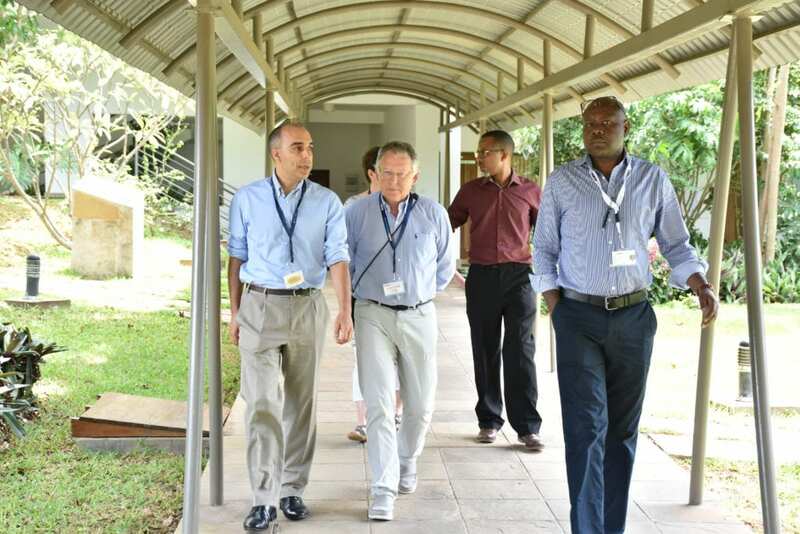 The Programme is one of the 23 OU Accredited Research Centres (ARC) in the the world and 1 of the 2 in Africa. This accreditation enables leading research institutes, who do not have their own degree awarding powers, to provide doctotral training with OU support. 21 of the current 34 PhD students are OU registered cross cutting all our research themes. The team was later taken on an extensive tour of our facilities that support PhD training led by Prof. Bejon, Dr. Sam, & Dr. Francis. They will be visiting the Nairobi Hub on Wednesday 26th April which is currently supporting 6 PhD students.